USB data leakage; choosing the right battery; rechargeable zinc-air batteries. Researchers from the University of Adelaide found that USB connections are vulnerable to information leakage. In testing more than 50 different computers and external USB hubs, they found that over 90% of them leaked information to an external USB device. “USB-connected devices include keyboards, cardswipers and fingerprint readers which often send sensitive information to the computer,” said Yuval Yarom, Research Associate with the University of Adelaide’s School of Computer Science. The team used a modified cheap novelty plug-in lamp with a USB connector to read every key stroke from the adjacent keyboard USB interface. The data was sent via Bluetooth to another computer. While those aware of security risks are wary of plugging in an unknown USB device, Yarom said other research has shown that if USB sticks are dropped on the ground, 75% of them are picked up and plugged into a computer. Ultimately, the researchers would like to see all data sent over USB connections encrypted. Researchers at Rice University published a review of studies analyzing the recent progress in lithium-ion technology and suggests how to make the batteries more adaptable for challenging conditions. The Rice team was most interested in seeing how batteries perform in temperatures from minus 60 to 150 degrees Celsius (minus 76 to 302 degrees Fahrenheit), knowing that current batteries are designed to operate near room temperature and within a narrow temperature range. The team built a comprehensive map of both standard and promising new materials in commercial batteries and detailed their typical energy densities and temperature ranges for each component. 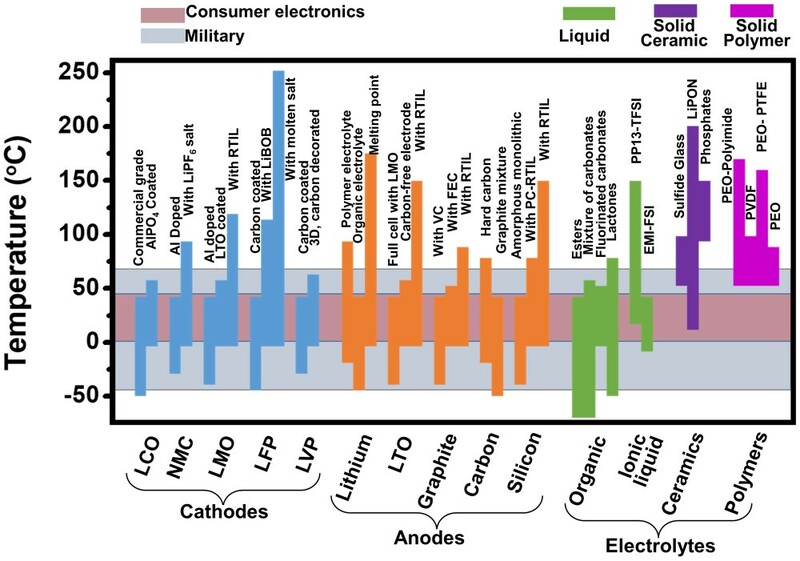 Performance in current lithium-ion batteries requires compromise, the researchers wrote. For example, water-based electrolytes like lead-acid and nickel-metal hydride operate only between minus 50 and 50 C, while molten salt batteries work fine only at temperatures above 90 C. Batteries with lithium thionyl chloride operate between minus 60 and 150 C, but only at peak between 20 and 55 C.
Chemical engineers from the University of Sydney and Nanyang Technological University propose a method to make zinc-air batteries more amenable to recharging. Zinc-air batteries are powered by zinc metal and oxygen. Due to the global abundance of zinc metal, these batteries are cheaper to produce than lithium-ion batteries, can store more energy (theoretically five times more than that of lithium-ion batteries), are much safer and are more environmentally friendly. However, due to the lack of electrocatalysts that successfully reduce and generate oxygen during discharging and charging, zinc-air batteries have been mostly limited to non-rechargeable formats, such as hearing aid batteries. 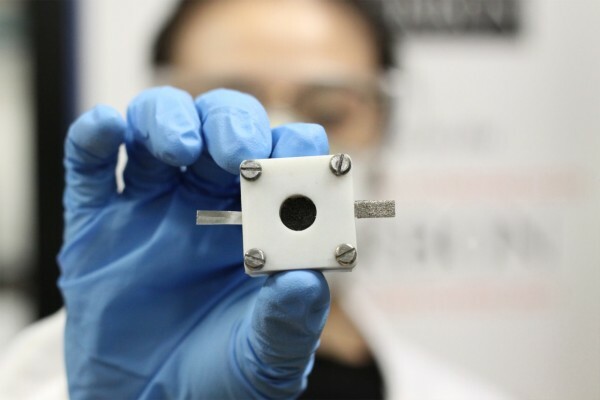 According to Yuan Chen, professor at the University of Sydney’s Engineering and Information Technologies, the method can be used to create bifunctional oxygen electrocatalysts for building rechargeable zinc-air batteries from scratch. “Up until now, rechargeable zinc-air batteries have been made with expensive precious metal catalysts, such as platinum and iridium oxide. In contrast, our method produces a family of new high-performance and low-cost catalysts,” he said. These new catalysts are produced through the simultaneous control of the composition, size and crystallinity of metal oxides of earth-abundant elements such as iron, cobalt and nickel. They can then be applied to build rechargeable zinc-air batteries, the team said. Trials of zinc-air batteries developed with the new catalysts demonstrated less than a 10% battery efficacy drop over 60 discharging/charging cycles of 120 hours.